This Article shows how to make proxy calls or fix the CORS issue in an Angular Application. When we want to communicate out of our Angular application we try to call the WebApi.Here we might face a common issue known as CORS issue. When we want to communicate out of our Angular application, we try to call a WebAPI. Here, we might face a common issue known as a CORS issue. If you are not that familiar with CORS read about CORS first then continue with this article. Angular runs on its own server (by default localhost:4200) and webAPI runs on a different port so we get the Cors issue. So, from the above screen, it is clear that WebAPI is running on port 57263 and our application is running on 4599 (it's not running in 4200 as I have changed the port in package.json). 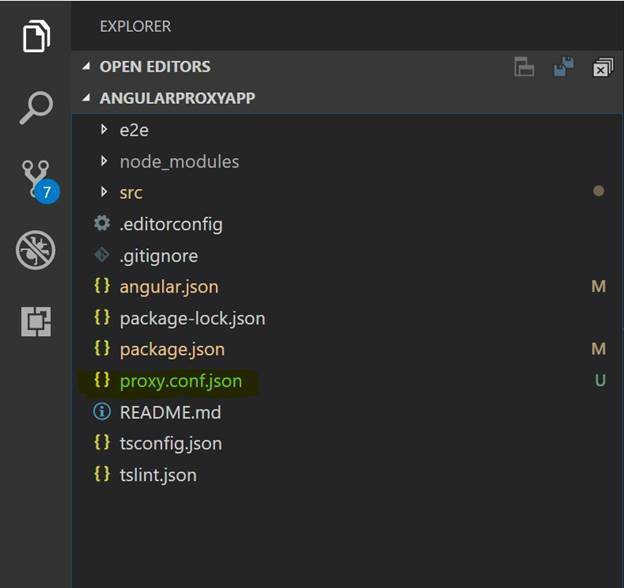 In this article, we will see a detailed explanation on how to use Angular Proxy only. This example is created using Angular CLI version 6. Create a .NETWebAPI with the below sample methods. Create the Service File and all the Code for Service Call. Here, only the structure and code snippets are shown, you can put it together for a proxy shows. 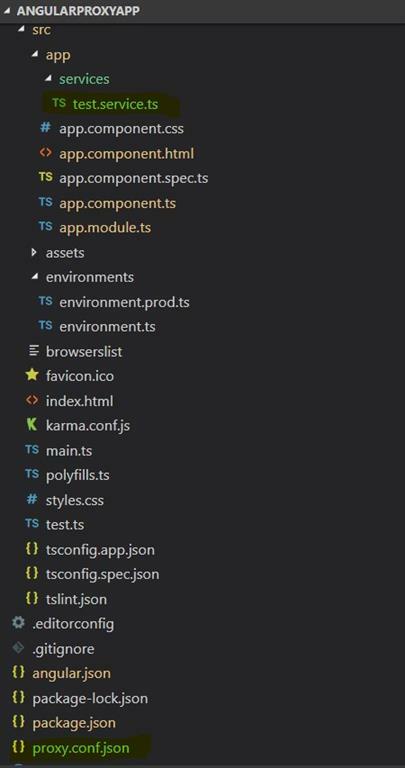 Calling the service method “getTestMessage” from app.component.ts. Don’t forget about App.module, we need to do some changes here as well. Here, anybody can know where our API is hosted. So, if we want to hide the WebAPI hosted address and fix the CORS issue we can go for the proxy request. Add ProxyConfig key in Angular.json file. Remove the URL as now it will use proxy.conf.json file when we run npm start. Below when we run npm start we can see that a proxy is created. There is no CORS issue and if we check the network the original Web request is hidden with the URL of the Angular server. Proxy.conf.json can be used to redirect the request to different servers. Hope you all enjoyed reading this article.